Welcome to Reiki Connections – Connecting to Spirit through Reiki. Reiki is a wonderfully healing energy that emanates warmth throughout your body, throughout your soul, throughout your spirit. It is said that the word itself comes from the Energy of Universal Spirit. This conjours up the mental images of inner peace, tranquility, and contentment. When used as a method of healing oneself, it brings on a feeling of tranquility leading to inner love. The energy that we all have within ourselves is of vital importance as a method by which we can use to heal the savage beast within. It is music to the soul, it is peace to the spirit. It is fulfillment to the physical, mental, auric and spiritual bodies from within to without. At the very least, it will bring on a relaxed and calm day, free of anxieties and troubles. At the most – it can bring on an energetic, rejuvenated physical body, capable of the most strenuous exercise. When used on another being, it is one of pleasant relaxation. One of healing energy brought from without to within that deepens the healing to one’s soul and spirit. It calms and soothes he who is being healed while allowing the body to remain tranquil and find peace. At the very least it will bring on a peaceful night sleep. At the most, it cam bring on a rejuvenated, and healed person ready to cope, work, walk, run, and enjoy life once more. When used on plants, it can rejuvenate, replenish and even cleanse any toxins from the body. When used on animals it can bring healing and pain relief to the sick and injured. It can bring therapeutic energies to the physical bodies from without to within. Reiki is giving, loving, healing, energising. Reiki is giving with your soul – with your spirit – with your all. Reiki is healing through connections from one spiritual being to another. This was an exert from a letter on 7th March 1997 from Phyllis Furumoto. The push from others to claim the position of successor to Takata by using this title, the part of myself that liked the attention but did not want the responsibility, and my insecure personality combined to create a struggle that took years to resolve. I became “healed enough” through this practice to begin accepting the obvious. This journey of being the successor to Takata with little noticeable training was my calling. Once I understood this, I looked back on my life and realised I had been in training for many years without being conscious of it. It was to this clinic that a young Japanese-American, Hawayo Takata, was brought in 1935. In 1936 she was healed of the illnesses that brought her to Japan by Reiki, and as a result stayed for a year of training and practice while staying at Chûjiro Hayashi’s home. It was not until 1938 that she was awarded her Master Certificate. It was Chûjiro Hayashi who helped her to set up her first clinic. It is widely considered by Japanese practitioners that the system of Reiki which is taught in the west comes from Chûjiro Hayashi’s teachings. The major difference between his teachings and traditional Usui teachings is that he continued to use Mantras and symbols with his attunements, where as Mikao Usui practiced without mantras and symbols. These were only taught to those who had difficulty with sensing the energy. Hawayo Takata became a Master of the System from Chûjiro Hayashi, and was a person empowered to train others in the practice, in 1937. At that time Reiki was taught for the first time outside of Japan by her teacher, Chujiro Hayashi. Mrs. Takata was chosen as Dr. Hayashi’s successor and the guardianship of the System shifted from Japan to the United States just prior to World War II. She was his 13th and last Master Student. She was also given the name of Mikao Usui’s School on her certificate rather than that of Chûjiro Hayashi. Mrs. Takata spent much of her time practising Reiki in Hawaii and mainland America as well as Canada. Among some of her patients, she boasted such celebrity as Danny Kaye in Palm Springs. It was not until 1973 that she began teaching seriously as she set about to train her successor(s). She taught her first Master Student in 1976. In 1979 she taught her grand daughter Phyllis Lei Furumoto to Master Level and there is some question as to her being Takata’s Heir and Successor. All in all before she died, Hawayo Takata taught 22 Reiki Masters. Phyllis Furumoto resides in north Idaho at the present time. The Usui System is now being taught and practiced world wide. Her teachings were varied and it has been reported that no two of her teachings were the same. She apparently taught as she felt appropriate at any given time in her life. She did however teach a simple version of the Five Precepts to most of her students. She is often credited with 12 hand positions, which is called the Foundation Treatment. She stressed that students should treat themselves first, then their family and friends. This way the student becomes whole and is also surrounded by harmony. What she taught most of all was that Reiki was an oral tradition and therefore no one had original copies of the symbols. Her attunements, it seems were also varied according to her feelings at the given time. She taught various techniques to do with The Hara Line which was said to be where the True Energy lay in the body. In her own words “Reiki will guide you. Let the Reiki hands find it, they will know what to do”. Chujiro Hayashi – was born in Tokyo 15th September 1880. He graduated from 30th Naval Academy of Japan in 1902 serving in the Port Patrolling Division during the Russo Japanese war from 4th January 1902 until a peace treaty was signed on 5th September 1906. In 1918 he was appointed director of Ominato Port Defence Station where Kanichi Taketomi was chief of staff. (He was to later become 3rd Chairman of Usui Ryôhô Gakkai. Mr. Hayashi was married to Chie (born in 1887) and had two children. Tadayoshi was born in 1903 went on to major in economics at Kiyoe University. Kiyoe their daughter was born in 1910 and went on to study at Shizuoka Women’s High School as her mother had. In May, 1925 Chujiro Hayashi became a student of Mikao Usui. By this time Chujiro Hayashi was a retired naval officer and surgeon. It was early in 1926 that Mikao Usui died of a stroke. Upon Mikao Usui’s death, Chujiro Hayashi and a number of other naval officers who had joined Usui’s school, stayed on and continued studying the Usui Reiki Ryôhô Gakkai method. When Hayashi left this school in 1931, he developed his own clinic and school which he called the Hayashi Reiki Kenkyû Kai of Hayashi Spiritual Energy Research Society. In 1935 Chujiro Hayashi met Chiyoko Yamaguchi who became one of his new students and who studied Shoden and Okuden under Mr Hayashi. At Mr Hayashi’s residential address in Tokyo, he operated his Reiki clinic which consisted of ten tables on which each patient would be treated by two practitioners. 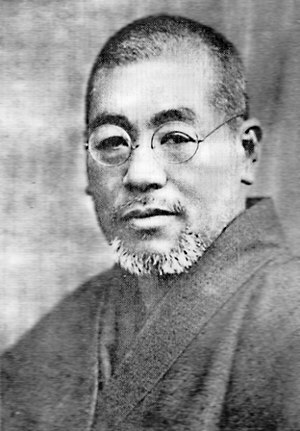 Chujiro Hayashi actively promoted Reiki throughout Japan and founded the Hayashi Reiki Kenkyû-kai. He held seminars and taught Reiki to a great number of people including Hawaya Takata, (who was attuned to Reiki Master in 1938) – an American Japanese woman who would be largely responsible for bringing Reiki to the West. On 11th May, 1940 Chujiro Hayashi ended his life, fearing that he would be called to fight in the Japanese Army during World War II. He was reported to have died of a self induced stroke (by stopping an artery in his brain) in his country house in Atami. His wife Chie became president of her husband’s school. He had attuned only 13 Reiki Masters. Mikao Usui was born a Tendai Buddhist and as a young child studied in a Tendai monastery according to recent researchers. In the West, it was once believed that he was born a Christian. Hawayo Takata probably added this information as a reaction to the anti-Japanese sentiment in America during and after World War II. Christianity was actually outlawed in Japan at the time Usui Mikao was born. Due to the fact that he travelled greatly through Japan and overseas his career was also varied. At one point, according to Frank Arjava Petter, he was a private secretary to a politician called Shinpei Goto who, amongst other positions, was Governor of the Standard of Railways. In 1920 Shinpei Goto became the Mayor of Tokyo. At the turn of the century hands-on-healing or teate was very popular in Japan. Eguchi Toshihiro was a friend of Usui Mikao and studied with him in the 1920s. Eguchi created the Tenohira Ryoji Kenkyu kai (Hand Healing Research Center). Usui Mikao was never a doctor as professed in the West but did become a lay Tendai priest called a zaike according to students of Suzuki san. This meant that he could remain in his own home with his family, without having to reside in a temple as is commonly expected of priests at the time that Usui Mikao became a zaike some say he took the Buddhist name of Gyoho, Gyohan or Gyotse. It’s also believed that Usui Mikao included techniques as well as jumon (jumon means spell or incantation. 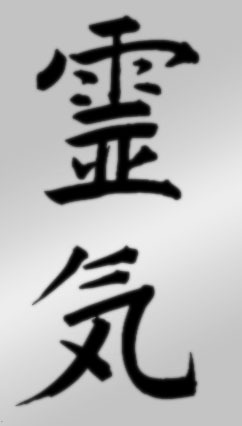 It is also for the mantras of the Reiki symbols) in his teachings that are based on Shinto and Tendai practices. It is impossible to offer a commencement date for Usui Mikao’s teachings. He was 35 years old at the turn of the century and, as stated by students of Suzuki san (who claim to have seen his Menkyo Kaiden certificate) was proficient in martial arts from his mid-20s. Suzuki San had been aware of Usui Mikao her whole life as she was his wife’s cousin. Her formal training with him is said to have begun in 1915 when she was 20 years old and her relationship with him continued on a less formal basis until his death in 1926. It’s understood that Suzuki san and the other 11 living students have preserved a collection of papers including the precepts, waka, meditations, and teachings. In a translated 1928 article a student of Chûjiro Hayashi states that the system was founded ‘decades ago’. What we know has been passed on to us through a series of lineage bearers who have been guardians and preservers of the integrity of the practice. The successor of Mikao Usui was Chûjiro Hayashi who practiced and taught in a clinical setting in Tokyo, Japan. He became a student of Mikao Usui in May of 1925 when he was retired as a naval officer and surgeon. When Mikao Usui died his school was using the title of Usui Reiki Ryôhô Gakkai. When Chûjiro Hayashi left this school, he formed his own school and called it the Hayashi Reiki Kenkyû Kai. It was in Hayashi’s clinic that he continued to teach and practise Reiki. is seventh in my Reiki lineage. She was the Practitioner/Teacher who introduced Seichim and finally, Isis Seichim into our lineage. She was personally drawn to Reiki because she saw a small ad in a magazine advertising Energy boosting–she thought that’s what she needed. At the time she was an Executive in the Computer industry and was waking up in the night with her arms completely numb and her legs had started to feel as if she was dragging them around—she was surrounded by love both at work and home but she had started to pull back from people. She definitely was not allowing herself to do things for her!! The doctors said there was nothing wrong with her –my circulation was fine — ah but it was the Circulation of Joy that needed to be fixed!! “Reiki did this for me –it opened me up to unconditional love!! Obviously after the treatment I signed up to do Reiki I. So her first level was with Beth Grey and the following weekend (which was unheard of those days) Beth allowed Mary to do Reiki II. This was in 1984–the usual timing was 6 months between 1 and 2 to allow you to experience the changes in energy and understand the workings of Reiki. Mike, Mary’s husband, a true Yorkshire man was very skeptical but after feeling the intense energy from Mary’s hands he also did his Reiki with Beth. Despite both Mike and Mary considering Beth to be their true Master “she taught us the true Reiki —not to judge, and be kind to all living things etc”. She never criticised other Masters –she just allowed them to be. This came in useful when we were lambasted by other masters when we reduced the price and timing of the seminars. Eventually in 1991 both Mike and Mary decided to train as Reiki Masters. (Because Beth was ill at that time even though she did offer for them to do it with her) They decided to do it with Mackenzie Clay. That was a turning point in their lives. They jumped out of Sydney (Mike left a very high level career in the NSW Ambulance Service) and opened a Resort Retreat up the mid north coast of NSW. Through the move from Sydney, they needed to find another Reiki Master to attune them to Master Level. “I jokingly said that if I was meant to do it– as Beth had told me –then someone would give it me”. BUT that’s exactly what happened. Mackenzie on hearing I wasn’t going to do it only Mike gifted me the Master training. More evidence of Reiki at work again. In 1991 Mary came to be attuned to what was known as Traditional Seichim with Margot Deepa Slater — she found it to be very powerful and a balance to the Reiki. New Reiki Level 1 Workshop held in the Beautiful Central Coast NSW. Level 1 (Shoden) is all about Self Healing and Healing Others. Become attuned to this wonderful Spiritual White Light Energy of Reiki and feel empowered to help yourself and or others around you. Family, Friends, Pets, Gardens, and so much more. The More you use this energy, the more empowered you will become. Welcome to the Beautiful Central Coast of NSW where this workshop will be held. Enjoying the use of Natural Sunlight, right opposite The Beautiful and Tranquil Ettalong Beach, make this day a Spiritual one to remember. Learn the History of Usui Reiki and how one Man changed the course of history with his desire to see everyone know how easy it is to live with this gift, using it to heal ourselves, and others. Learn the importance of the Gassho Meditation and other meditative techniques that will help empower you on a daily basis to enrich your life spiritually, mentally and physically. Learn to change your mindset and live by the Five Precepts that Mikao Usui introduced to his students, brought in from his Taoist Buddhist knowledge. Learn the Step by Step Self Healing Technique to follow each and every day to bring yourself less pain, more action, more quality of life and LIVE every day to the fullest. to give of yourself so that quality of life can be shared. Who is Reiki good for? As a Spiritual Healing Energy, Reiki is good for anyone to learn. However the benefits are huge to those who are in long term constant pain and or illness. For those who wish to learn Reiki it is a good basis for Animal Healing, or Plant Healing. It is also great for use with Healing in the Spirit World. Receive a Manual & Certificate from Reiki Master Practitioner/Teacher Sandy Cee. Go onto her E-Mailing list to always have the opportunity to ask questions, discuss any matter in the future. Bring Reiki Journal to Take notes and keep. Book Now to Reserve your seat as places are limited. Just click on the Paymate Logo below to make your payment by secure gateway. Reiki is calming, spiritually and physically. When we practice Reiki, we are asking for the Universal Spirit to enter into our energy fields and empower us. Reiki can be empowerment from the healer, as well as to the one being healed. When we meditate in Reiki, we are signifying to The Universe that we wish to open up the Healing Portal and thus begin to practice our Reiki. It is through meditation, channeling, visualising and sending the Reiki energy from our soul to the body, soul and spirit of the one being healed. The energy is invisible, yet very powerful. It is strong without being a harm unto anyone. It is subtle and gentle. It is relaxing and healing. A good meditation to try for this Gasshô position is this one which is largely practiced in the Shoden level (Master). It is also a good technique to teach your own students whilst they are receiving your attunements. It will help to calm and focus the mind. It is one that I myself practice on a regular basis. By joining your hands together in the prayer position, you are signifying the commencement of the act of Reiki meditation. Bring your hands together and up toward your face so that your middle fingers are level with the bridge of your nose. Sit and Gasshô to centre the mind and set your intent. Close your eyes. Breathe in naturally, focusing on the point where your two middle fingers come together. When your mind wanders, use this physical point as your focus to bring yourself back to this pointed meditation. Continue to breathe in through your nose and out through your mouth. By doing this you will notice that your mind wanders less and your focusing power is greater. Continue the meditation for up to thirty minutes. Gasshô to give thanks. This meditation should be practiced on a regular basis. Whilst you are meditating in this way, be aware that you have a body, from the tip of your toes to the top of your head and every part there-in. You could begin from the ground up, which is a good place to start as we walk with our feet every day and this is the area of our body that does the most work. When, after a few weeks of continuing this meditation practice, you have managed to find your head and know how it feels, and then you will be ready to practice on the spot healing with little or no preparation necessary. Being focused does not necessitate you being out of control of your mind, body or soul at any time of the night or day, nor does it mean that you may be side tracked into another way of thinking at a moment’s glance. On the contrary, it means that you don’t need to be concerned with where you are or what you are doing, that you may indeed switch off in order to do the task at hand.